#316 not really. he said i ought to have been born without teeth, that it would have saved everyone a lot of trouble. wednesday’s comic is up so late! oh my god! so i had a late night last night. it was music related. when i got home, i sat down to do a comic and fell asleep shortly thereafter. one day i will hire a ghostwriter to make a bunch of comics for me so i can go on more benders. 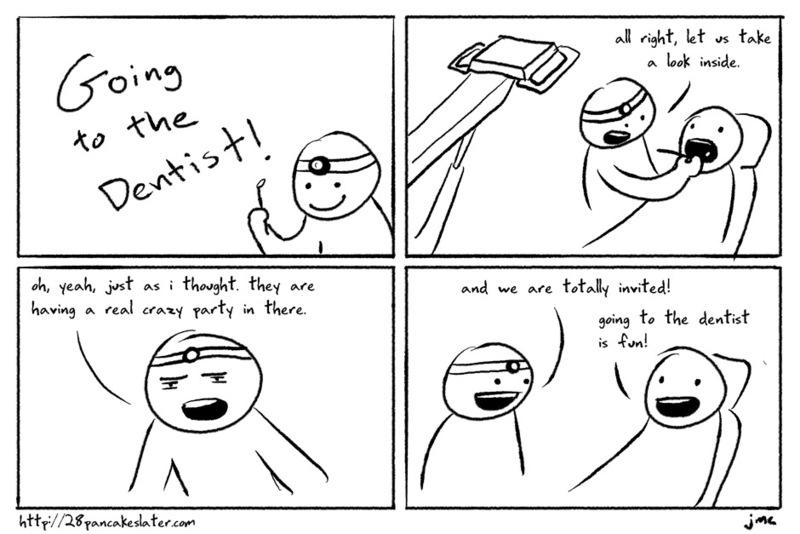 today i am going to the dentist again. it is a long process, i have learned, for them to replace all your teeth with razor sharp stainless steel fangs. worth it, though. anyway, i actually have to go now to meet that wizard of teeth, that disapproving young man who looks like jake gyllenhall as clark kent. i hope instead of the drill this time he just uses his heat vision. i hope he lets me touch his big, dark eyebrows.